I made this list of topics to help with ideas and to add a sense of conformity for those who prefer that sort of approach. Even though this is “the official” list, following the themes and topics is totally voluntary. 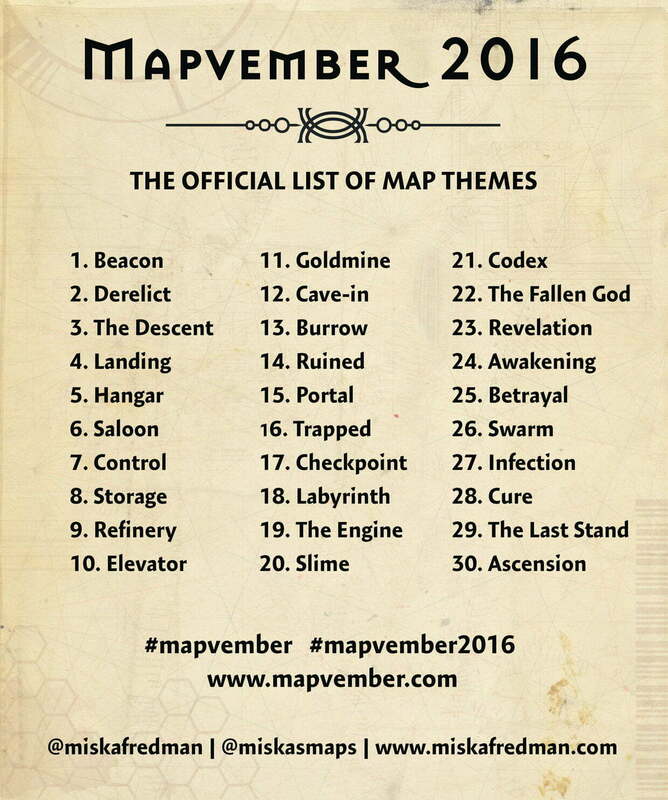 It’s almost November and time for the 2nd annual #mapvember challenge! It’s an open challenge for all interested in drawing fictional RPG maps. #mapvember2016 will be held between the 1st and the 30th of November 2016. #Mapvember was held for the first time in November 2015 and all by accident. Around 2014 I found out that some talented people were making really amazing RPG maps and sharing them online. I studied these maps with awe and a growing urge to draw maps, but I never really got the reason or the time for it. Or so I told myself. Then, one day, I got a sudden inspiration to draw a map, but all I happened to have was just a pad of post-its. I drew a small mini-dungeon on a post-it note, but came out as a map that could be played as a short adventure. It was so fun that I wanted to draw another one right away. Great! You can learn more about #mapvember HERE or at www.mapvember.com. Please feel free to share the website so we can get more participants to share their creations all around the social media.